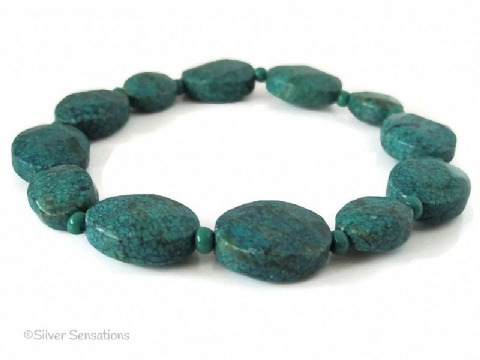 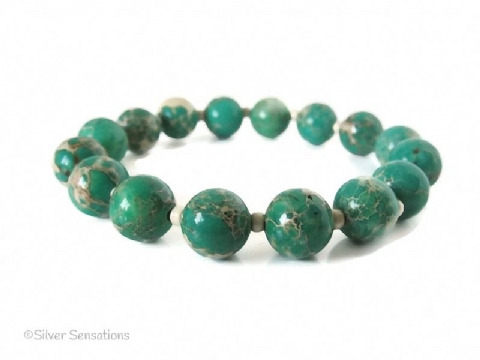 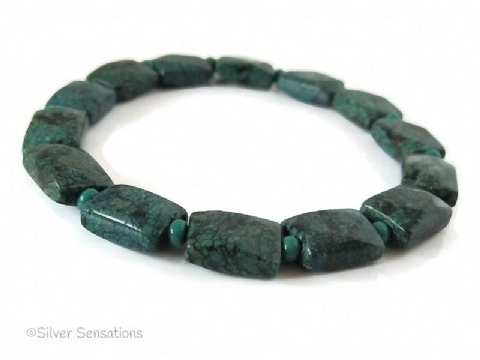 I have a lovely range of green beaded fashion bracelets in various shades & shapes. 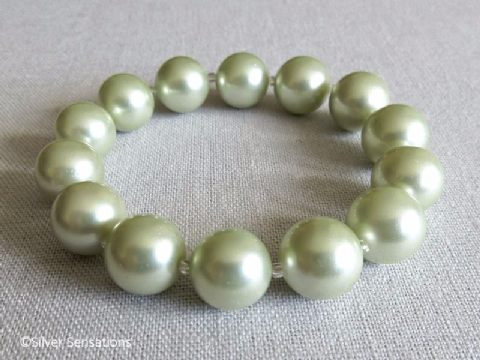 Please take into account that larger beads do wear shorter. 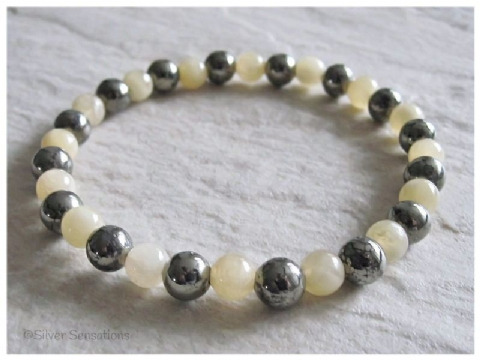 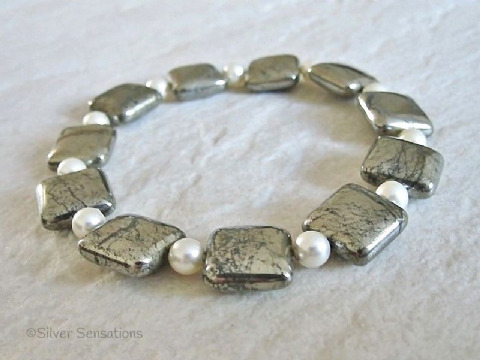 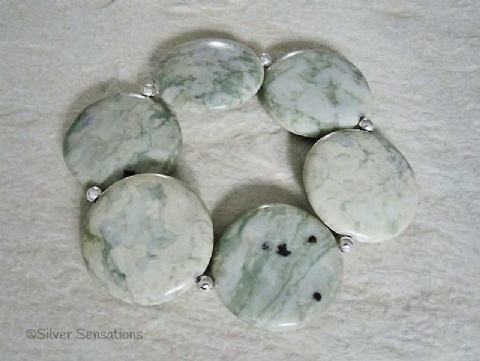 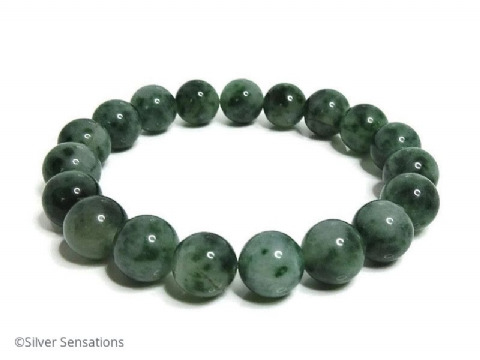 For these hand made bracelets I have used the following semi precious gemstones: Khaki Pyrite, Olive Green Shell Pearls, Ocean Jasper, Chrysotine Jasper, Green Spot Jade, Emerald Green Jade, Chrysocolla Jasper, & Silvery Green Shell Pearls.